According to almost every analyst and many of his peers, LeBron James is the greatest basketball player on Earth. The NBA champion is a force to be reckoned with every time he steps foot on the court. It takes a team full of All-Stars to take him down. Are there players who can take him on, in a game of one-on-one? Yes, there are players that can challenge James straight up. See if you agree with this list of exclusive players capable of beating the King. If LeBron James is 1A, then Kevin Durant is 1B. James has four years on Durant and about 15 lbs, but that won’t stop Durant. Before Durant arrived in Golden State, James was able to defeat the Warriors. Since he’s joined, James is 0-2 against the Warriors in the Finals. Not only can James not get past Durant during a five-on-five game, but he would also have a hard time beating him in a game of one-on-one. Durant is the better shooter and has a longer wingspan, which allows him to defend James better than others. It would be a close game, but Durant takes the edge with his pure ability to score. This matchup is equivalent to when an unstoppable force meets an immovable object. Both of these players are freaks of nature and possess a physical prowess unmatched by any player in the NBA. 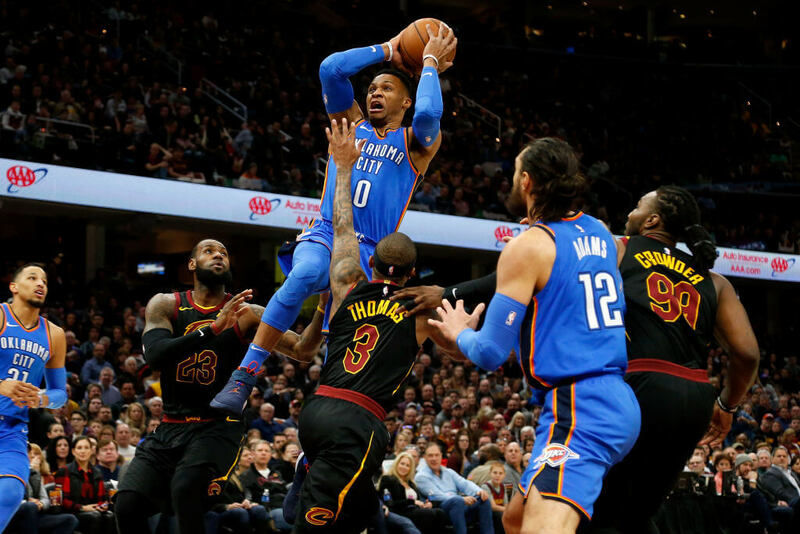 Many like to call Russell Westbrook a mini-version of LeBron James. Westbrook’s size advantage is key in this match-up. He goes at any competitor with the same force and passion every time, so James isn’t a threat to Westbrook. If anyone can beat James one-on-one, it’s the guy who averaged a triple-double for two straight seasons. Outside of his uncanny ability to shoot the basketball from anywhere on the court, Stephen Curry is a hard matchup for anyone. His slick ball-handling makes it virtually impossible to guard him. If you play him too closely, he’ll blow right by you. Give him too much space, and he’s launching a three. 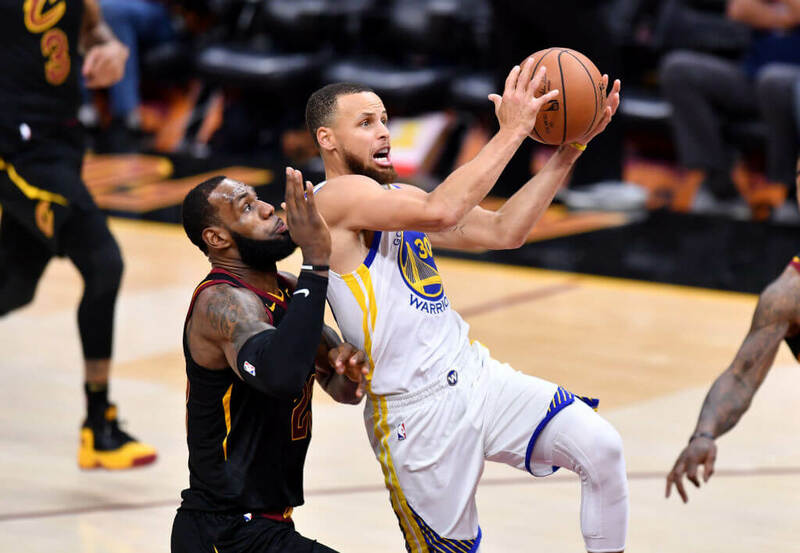 LeBron James has the more substantial body, but it also seems to be working against him in this match-up, as he can’t accurately keep up with Curry the entire game. Curry will find a way to get his shot off, and chances are, he’s going to make it. The All-Star and Most Improved Player of the Year Jimmy Butler is a hard ticket for anybody in the NBA. Butler combines old-school grit with the new school shooting while still being able to score in different ways. His offense isn’t the best he has to offer. Before Butler ended up on the Timberwolves, he was with the Chicago Bulls. His primary task was the “LeBron Stopper.” For at least two straight years, Butler had the pleasure of defending LeBron James in the playoffs, and he was pretty darn good at it. Now, he has evolved into an even better player and could easily take on James one-on-one. 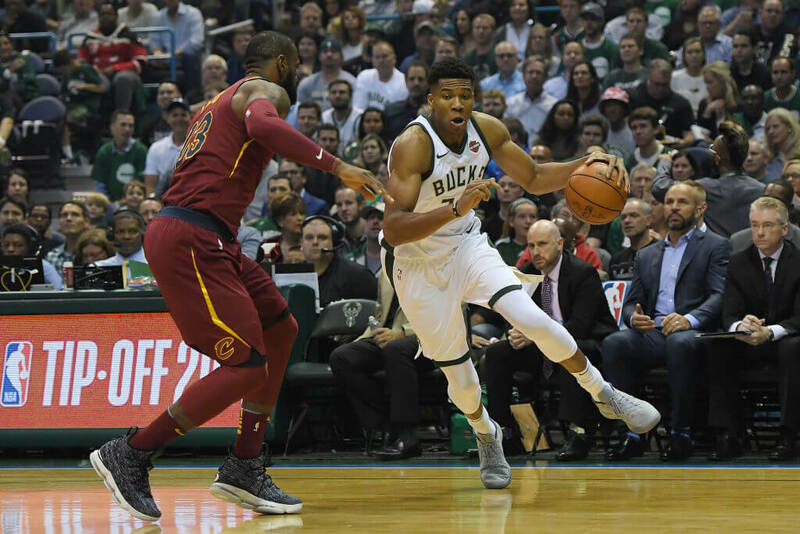 Giannis Antetokounmpo aka the “Greek Freak” is one of the two people on this list that would cause LeBron James to have some sleepless nights. The pure athleticism of the Greek Freak is mind-boggling. He jumps over players to finish dunks, and only needs two dribbles to get from one end of the court to the other. As freakishly athletic as James is, he might have met his match in the Greek Freak. He turns 24 right before the end of 2018, so he still has room for improvement. Joel Embiid might be the next dominant big man for the upcoming decade in the NBA. As long as he stays healthy, there is nothing that Embiid can’t do on the court. He urged the fans of Philadelphia to “Trust the Process” as he recovered and upon his return, Embiid did not disappoint. 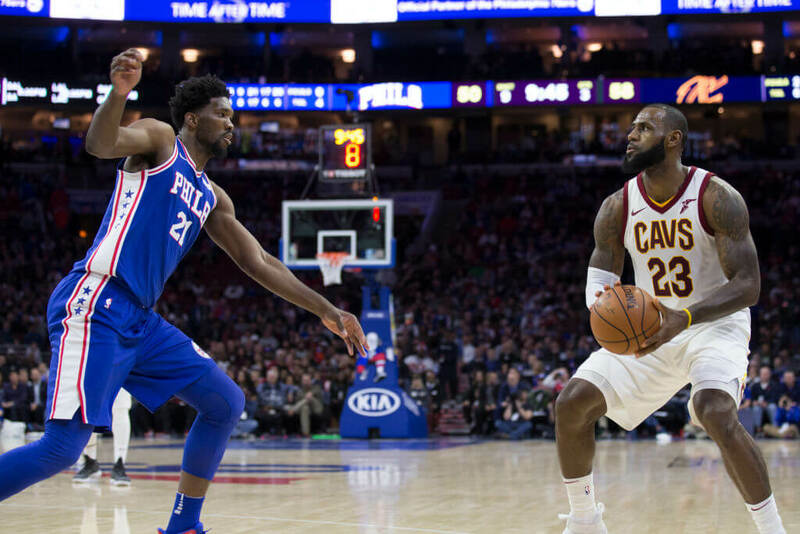 Embiid going up against LeBron James would be a fun matchup. Both have a high motor for competition, but Embiid believes in himself far too much to lose. That’s one of his intangibles that make him so great. Not only can he work you inside, but he can also shoot the three ball. James would have a hard time checking the bigger and more versatile Embiid. Before landing in Oklahoma City, Paul George was the anchor on the defensive end for the Indiana Pacers. It was up to him to try and defend LeBron James in the playoffs, and he did a pretty swell job. He’s a threat to make long threes, plus he can take you off the dribble and get to the rim when he wants to. George against LeBron James in a one-on-one would be one of the better matchups to watch. They aren’t too similar (because George shoots way better) but other aspects of their game are alike. George gets the edge only because he would be harder to contain around the three-point line. 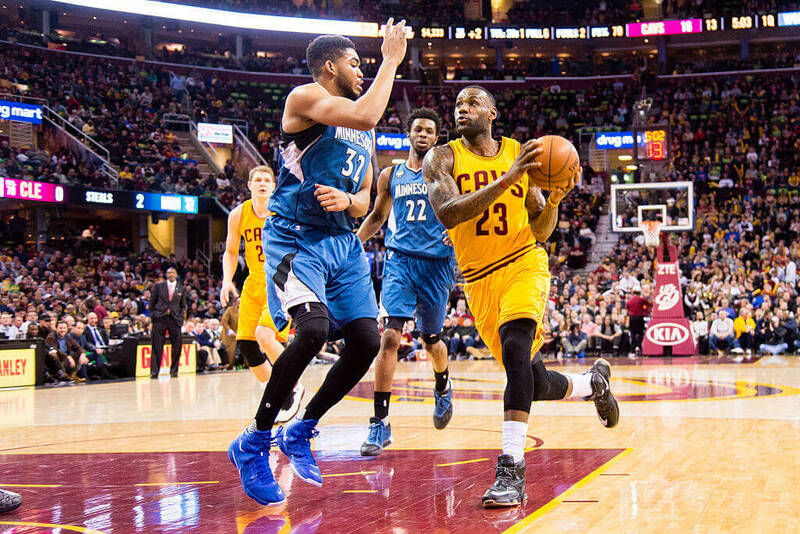 We said earlier how the Greek Freak is one of two players that might worry LeBron James. Well, Kawhi Leonard is the other. Leonard and the Spurs prevented James from winning a ring, but it was mostly Leonard’s doing. 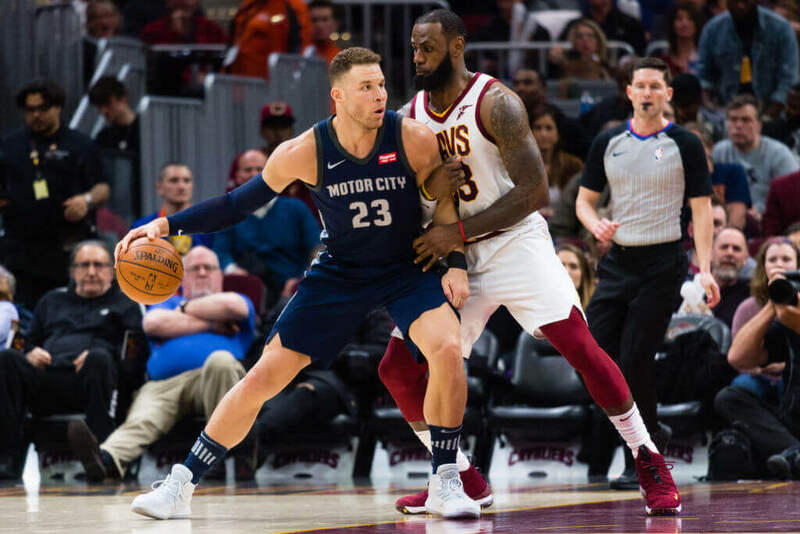 He is the LeBron stopper, and James can’t stand it. 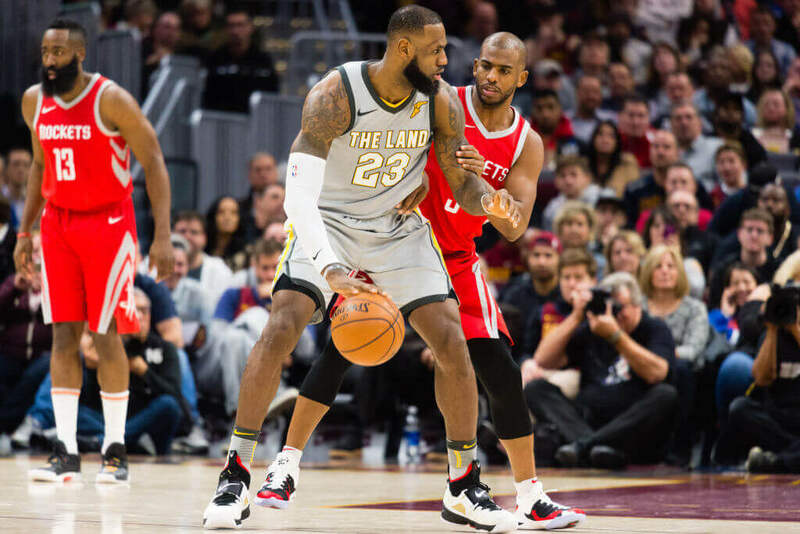 If James is the best player in the world, then Leonard is the best two-way player. He’s played both sides of the ball with the same level of excellence. Defenders have a rough time checking him, and the players he defends always have a rough game. 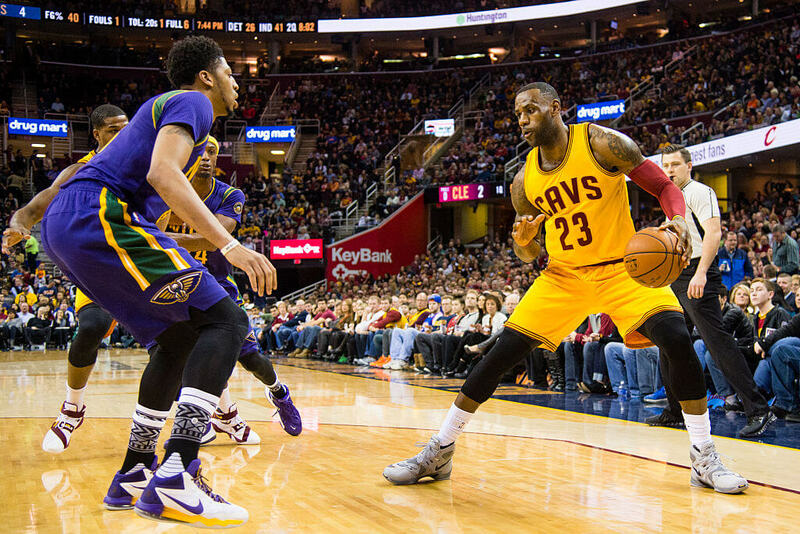 Outside of Joel Embiid, Anthony Davis is the other big man who can take down LeBron James. Davis or “The Brow” has one of the longest wingspans in the NBA and he’s tremendously fast on the dribble for a big guy. 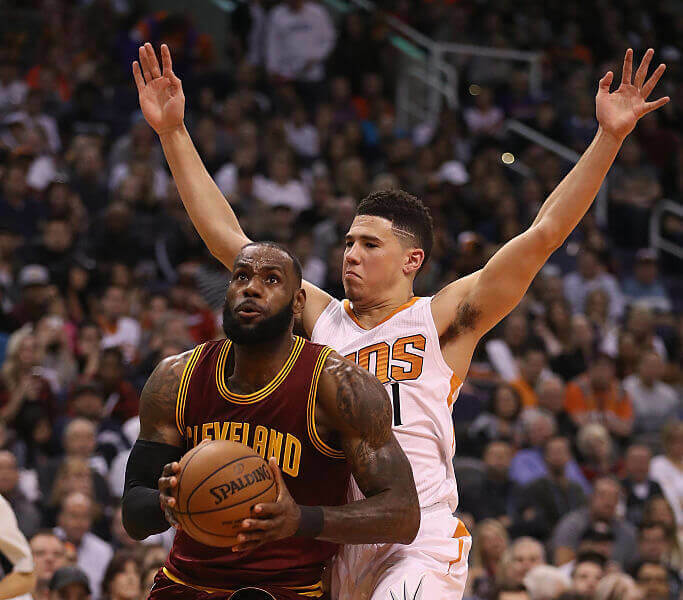 James would find himself in a tough situation guarding him for a full one-on-one game. Not only is Davis scary by the rim, but he can also let the ball fly from the perimeter. Davis and James’ jump shots might be of equal value, but Davis can win by taking the ball inside and using his immense size. 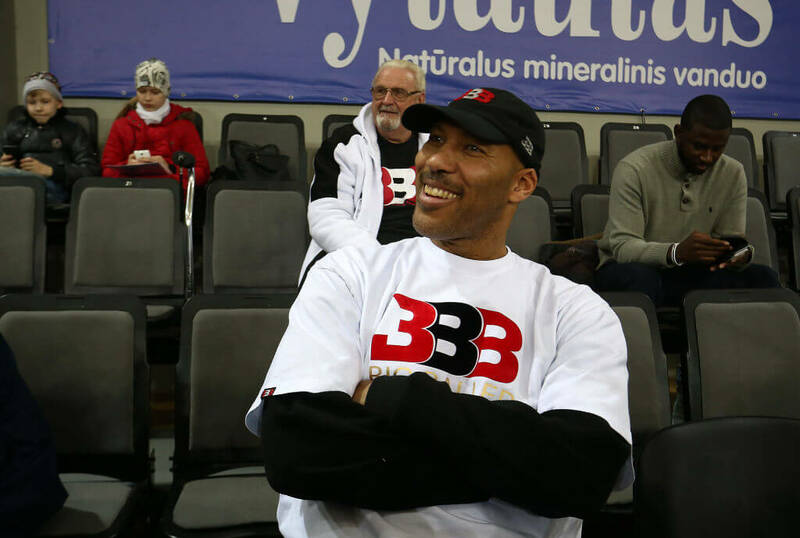 That’s right, LaVar Ball can take LeBron James one-on-one. Don’t hate the game, hate the player. As loud as Ball has been since his son’s rise to stardom, one of his most outlandish remarks is that he could have beat James in his Heydey. 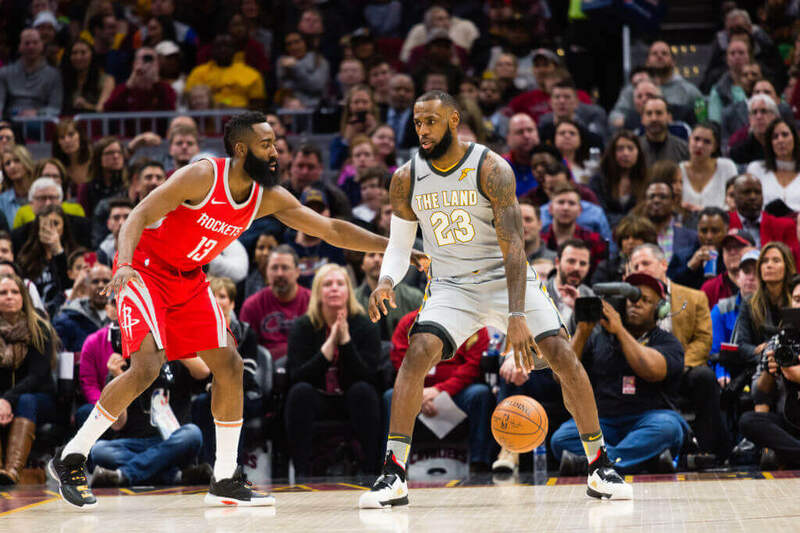 The 2018 MVP James Harden won’t be an easy cover for LeBron James. Harden has a craftiness so deceiving that he forces players to foul him. And you can’t forget about the deadliest step-back three-pointer in the NBA. Harden’s tricks make him nearly impossible to guard. Not only is Harden a better shooter, but he also is a better scorer. Not saying James is a one trick pony at all. The only advantage James holds here is his size and defensive capabilities. One false move and Harden is capitalizing. 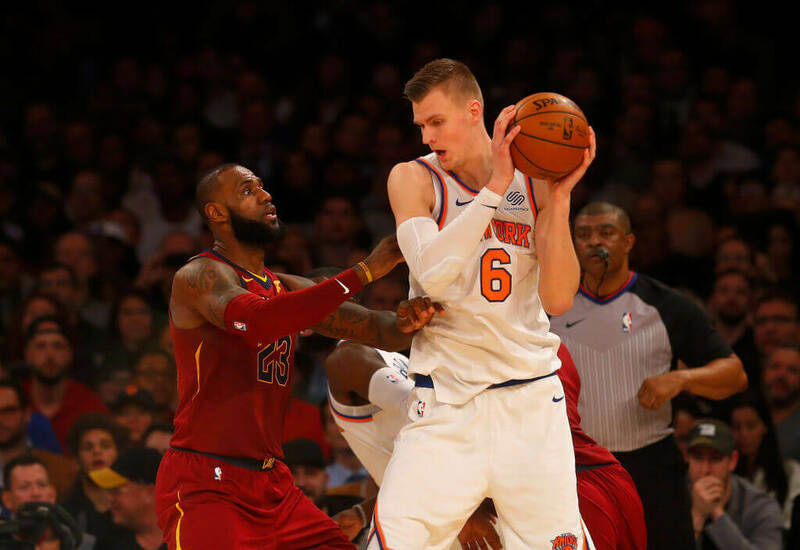 LeBron James, meet Kristaps Porzingis. Porzingus or “The Unicorn” is a talent that doesn’t come around very often. The 7’3″ big man has a multitude of offensive tricks up his sleeve. He can handle the ball like a guard, and his defense is automatic because of his height. 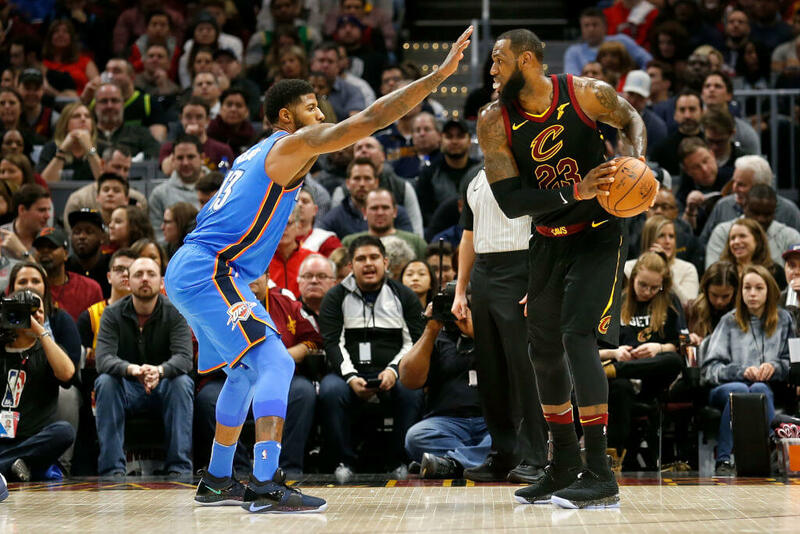 James would for sure struggle in this matchup. The best thing for James to do in this game would be shooting long range jump shots. But thanks to his shot not being that consistent, he had better pray he makes them all. At one point, Chris Paul was the best point guard in the NBA. There was no one near him and his immaculate skill set. Then Steph Curry arrived, but that doesn’t take away from Paul’s greatness. He can shoot, penetrate the lane, and his defense is still the best out of point guards. The defense and shooting touch are vital. Paul would need both of those aspects of his game to be on point in a match against James. If they are, we give the Houston Rocket a fair chance at defeating the King. 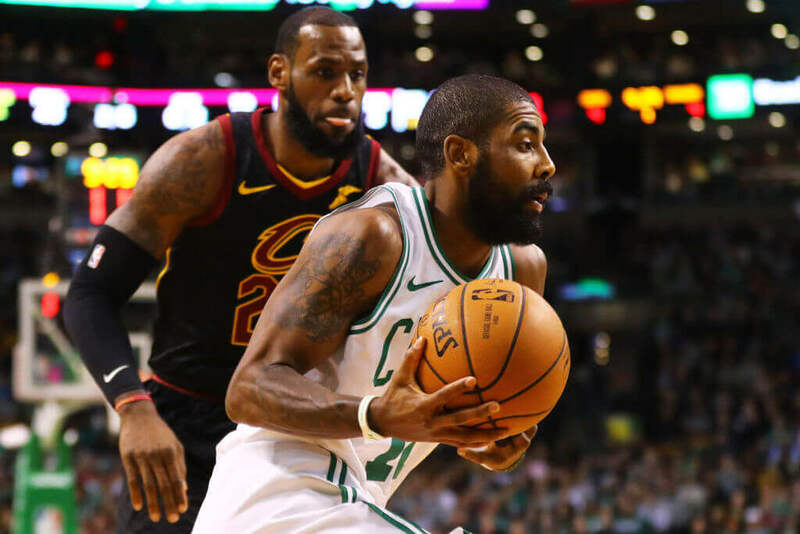 He didn’t force LeBron James out of Cleveland à la Kobe and Shaq; Kyrie Irving pushed himself out from underneath James. Irving knew early on he was going to be a star in the NBA and didn’t want James to return to Cleveland. Irving is nothing short of a magician with the basketball and now has the chance to prove he can do it on his own. As far as a game of one-on-one with James, Irving can handle that as well. His shooting touch is silky smooth but not as smooth as his layups packages. Combine that with his basketball IQ and speed, and you have a player that can beat James. Blake Griffin might go down in history as one of the most lethal dunkers ever. He’s punished countless players throughout his career with demoralizing slams. We don’t see why LeBron James can’t get added to his hit list. Although James is faster and a tad bit better shooter than Griffin, all Griffin would need to do is be more physical. His mid-range jump shot has improved drastically over his career, so if he can mix roughing up James and hitting his jump shot, he has more than a chance. If DeMar DeRozan ever had a rival than his name is LeBron James. 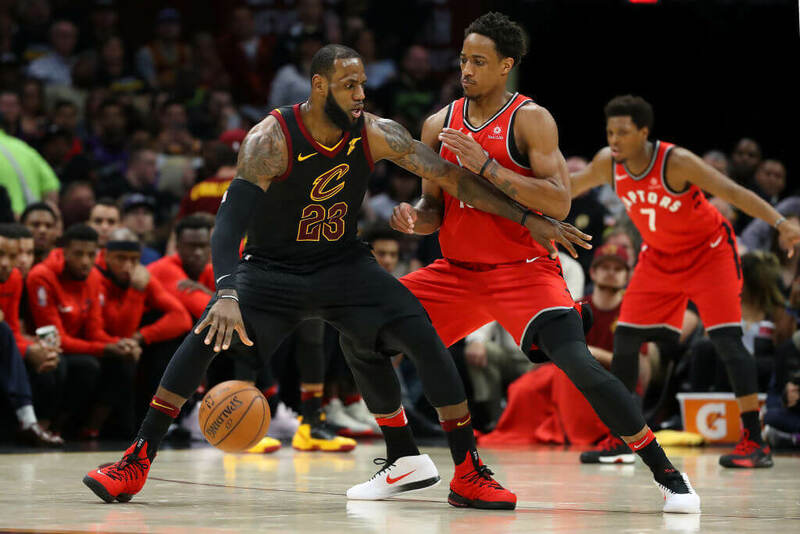 James has stopped DeRozen from reaching the NBA Finals for many years, and we have to imagine that DeRozan would like some revenge. DeRozan’s trajectory since entering the NBA has gone far and beyond what anyone might have expected. The Compton product dunks the ball like a vintage Michael Jordan and has the mid-range shot of a prime Kobe Bryant. 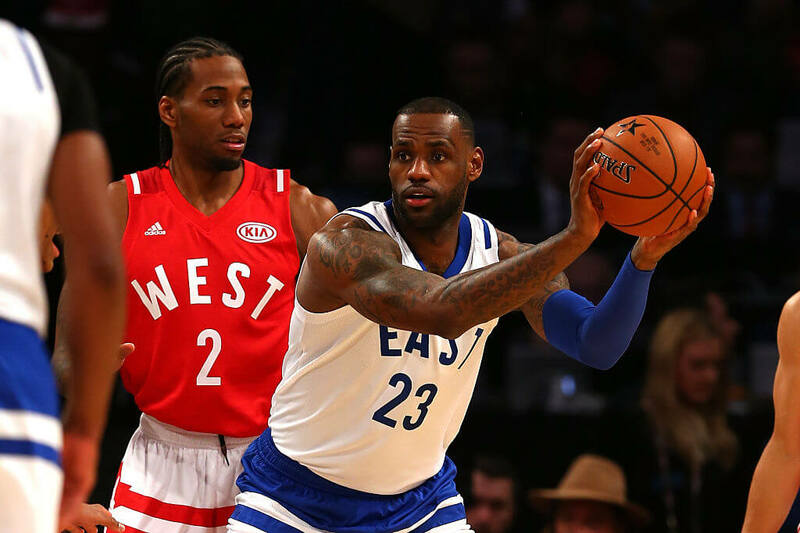 James might be able to beat DeRozan’s teams, but it might be a different story one-on-one. 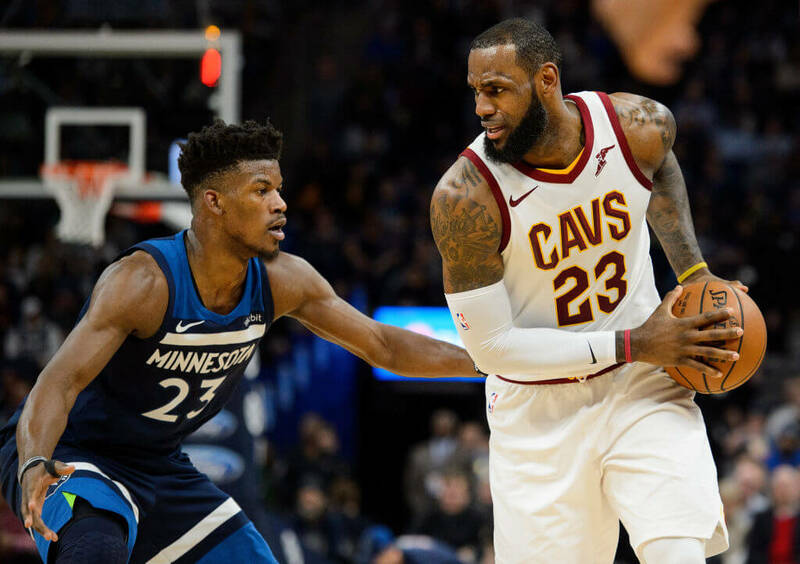 There aren’t many players at the center position that can hang with LeBron James one-on-one, but Karl Anthony-Towns is an exception to the rule. Not only is he active and willing to use his size near the basket, but he can knock down the long range shot as well. James would have a hard time trying to contain Towns down low. And if he somehow finds a way to do that, Towns can take the ball to the three-point line and hoist up a shot. James can’t block that. Devin Booker is a pure young scorer. He’s the youngest player to score 70 points in a single game in case you might have forgotten. You can’t compare him to anyone because Booker merely goes out and finds a way to get a basket. Whether it be by three-pointer or dunking on an unsuspected player, he gets it done. James has the size and power advantage in this one allowing him to dominate in the post. Outside of that, Booker has him beat everywhere else. 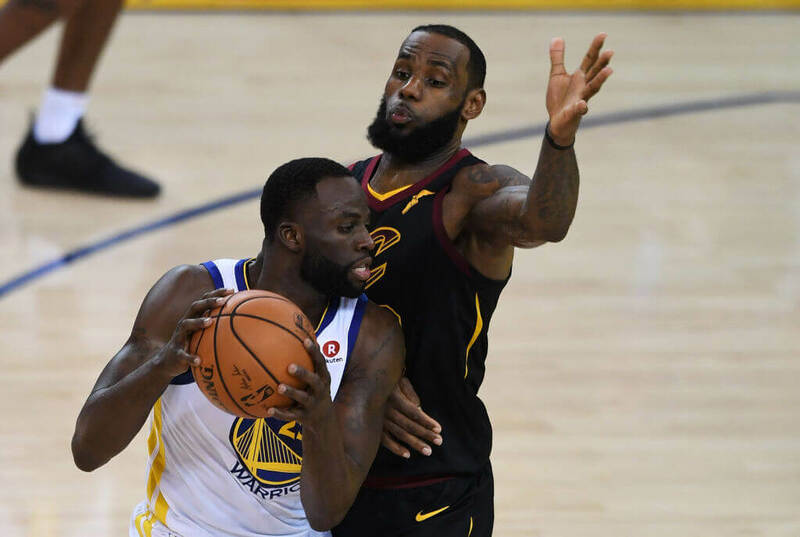 The history between Draymond Green and LeBron James is rich. 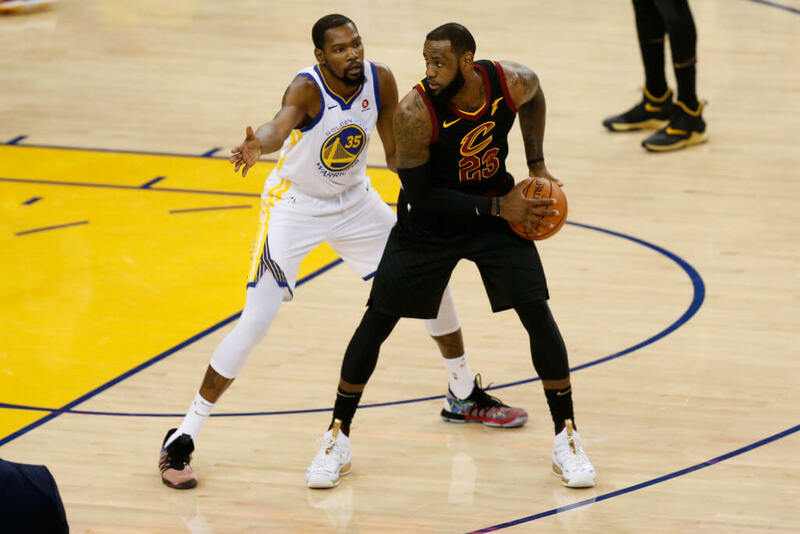 Ever since their first time battling each other in the Finals the two have been going at it since. Green even punched James in his private area once. Antics aside, Green is a troublesome force on the court. He’s not the fastest, he’s not the best shooter, but Green does everything with enough skill that he’s an all-around beauty. There’s nothing Green can’t do, and that’s including making sure James doesn’t score on him. Damian Lillard might be the next best thing to Steph Curry. He may not be on his level shooting (he isn’t far off either), but he has a little more defensive capabilities to his game. Another thing about Lillard is that he always plays with a chip on his shoulder. His speed rivals the fastest players in the NBA. On top of that, he’s also more explosive than most guards his size. 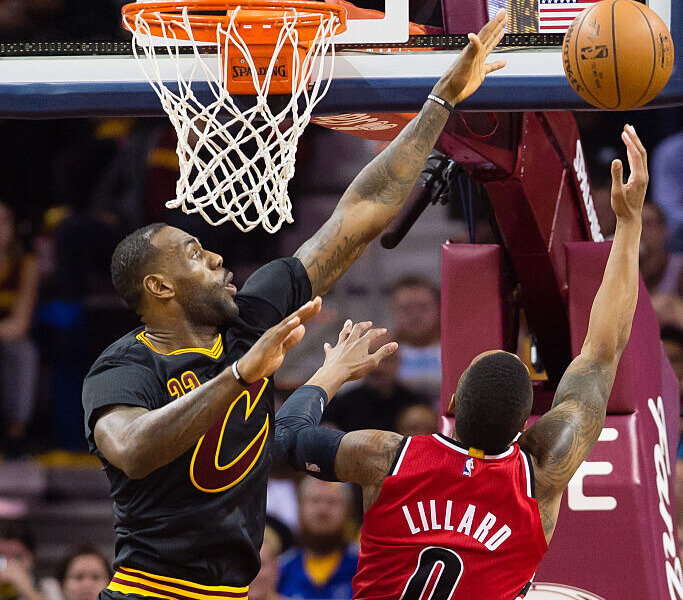 It would be a tough matchup for both LeBron James and Lillard, but Lillard would be able to pull it off. 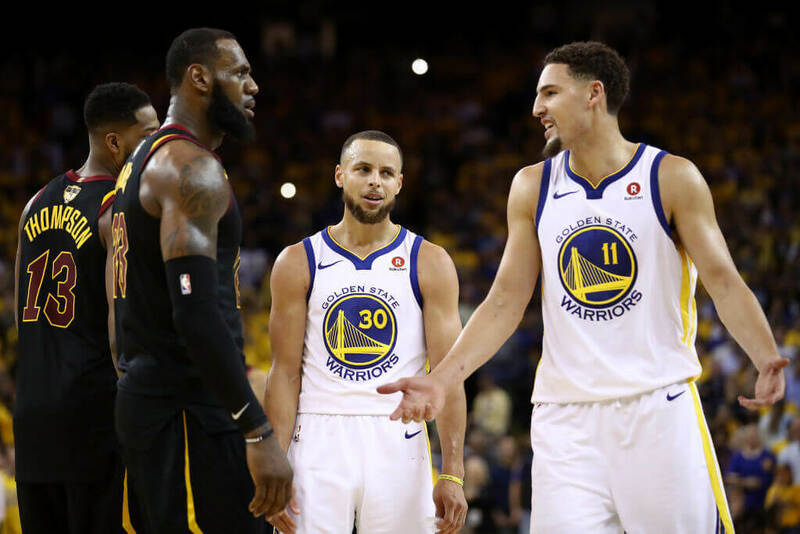 The other splash brother in Golden State would be an excellent matchup for LeBron James. We all know how deadly of a shooter Klay is. He once scored 60 points in only 11 dribbles, while just having the ball for 90 seconds. Thompson can put up some points in a hurry. The one aspect of Thompson’s game that people underrate is his defensive prowess. He’s one of the top two-way players in the NBA. That means he can excel at both ends of the court. The defense will come in handy against James. 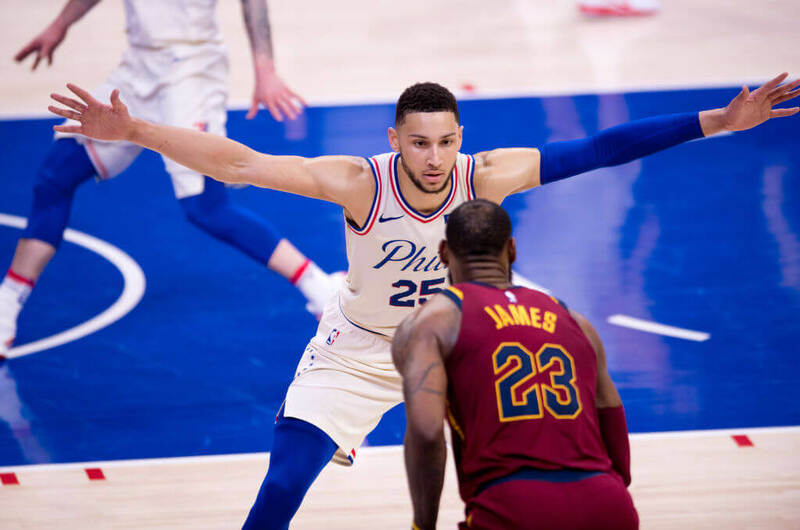 Ben Simmons versus LeBron James. A match between two players who are almost identical. The only thing James does that’s miles better than Simmons is shooting the ball. The real question here is, can James defeat himself. The answer to that question is the answer to the winner of this one-on-one match. Youth is on Simmons side here so he would need to use all the extra energy he can. Simmons is also deceptively crafty with the ball. He could use some of his tricks to get by James. 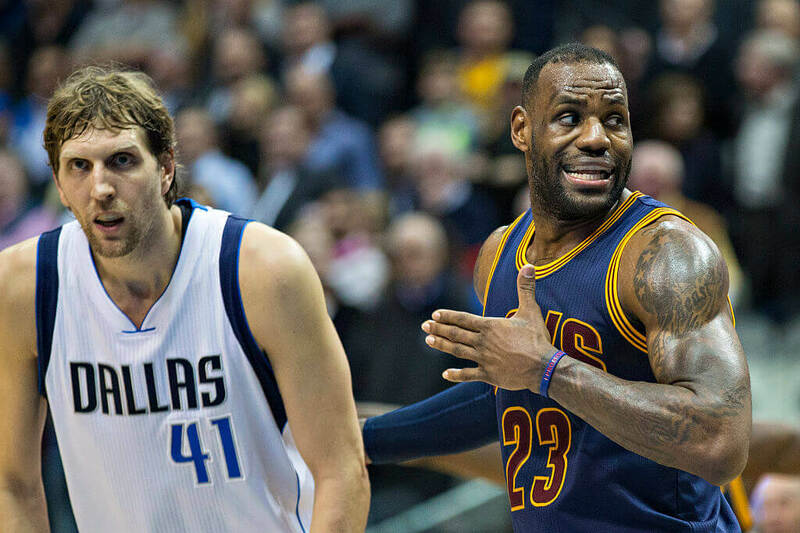 Dirk Nowitzki already proved he could beat LeBron James and his super team in the NBA Finals. We think he could give it to him in a game of one-on-one as well. Nowitzki has one of the most unstoppable moves the NBA has ever seen. Once he starts using the move (a turnaround one-foot jumper) James had better pray he misses. And, Nowitzki stands over seven feet tall. He only needs to use his veteran style of play and wear out James. If you watched the 2018 NBA Playoffs, then you know how great the young Jayson Tatum is. 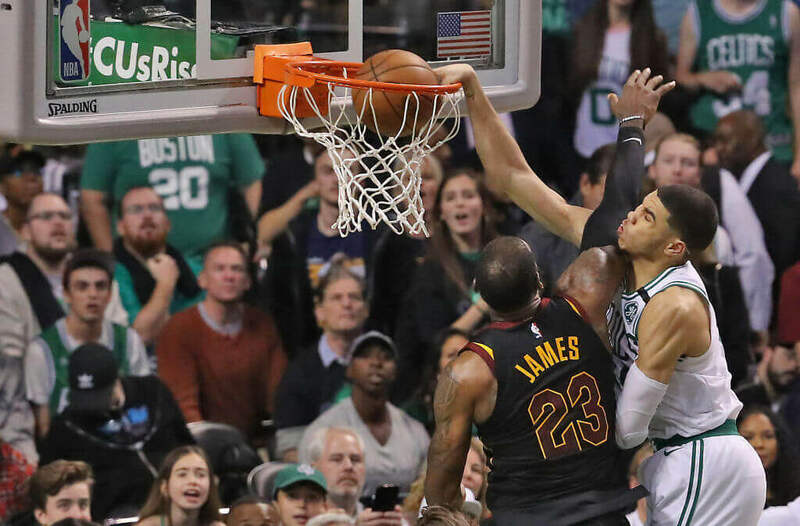 There’s probably nothing Tatum can’t do on the court, and that includes crushing LeBron James by dunking on him (refer to photo). His only real downfall is his youth. The 20-year-old already plays with the same poise as a championship player. He has a better shooting touch than James. Kobe Bryant even asked why the Lakers didn’t draft him. Backing from the Black Mamba solidifies your greatness. 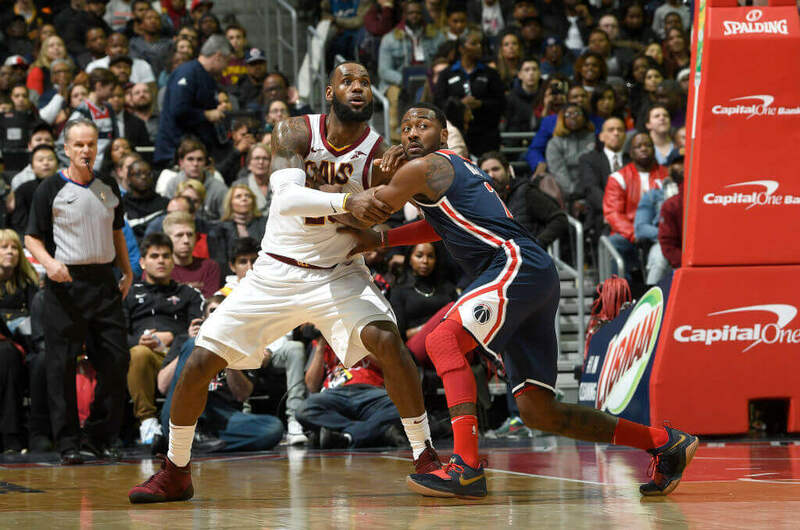 The verdict is out; John Wall is the fastest player in the NBA. That alone gives him some advantages against LeBron James. His speed might be his most valuable asset, but he has other moves that can help him prevail in this matchup. His handle on the ball is scary good. A couple of crossovers mixed with a step back jump shot, and James will get put in a tight position. Wall will have to play full speed the whole game to win. That’s a challenge we know he’s willing to take. Donovan Mitchell aka “Spyda” is a unique talent. Like Tatum, and Simmons, Mitchell is a young buck dying to prove his skill. He’s already drawing comparisons to champion Dwayne Wade, and not everyone is that worthy. Mitchell finishes at the rim no matter who is in front of him. That’s probably his most important skill set that he can use against LeBron James. Not only that, but he can also shoot the ball very well. 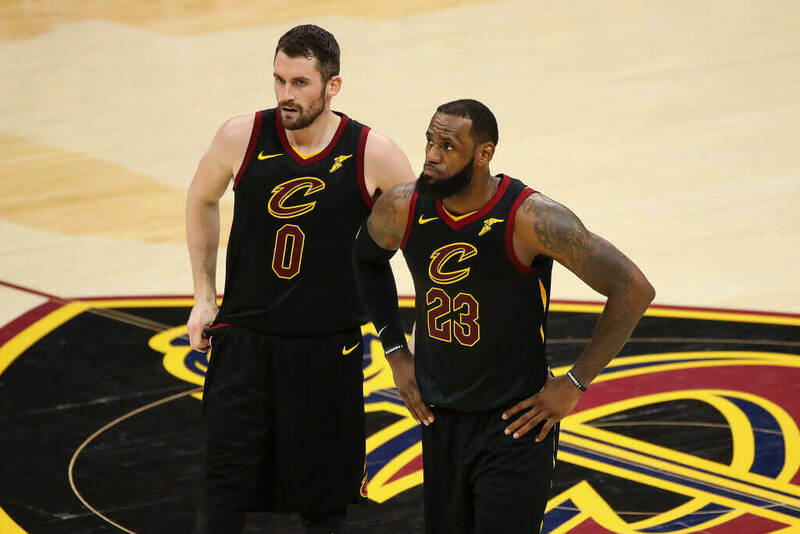 Kevin Love and LeBron James used to be the best of teammates. Now James is in Los Angeles while Love stays put in Cleveland. There’s a reason James wanted Love to play with him in his return to the Land. It’s because Love is really good. Because James was there, Love’s talent was overshadowed, and he had to change his play style. When Love plays his original style of basketball, there aren’t many in the NBA better than him. Combine his size, rebounding ability and outside shot, and you have the makings of someone who can beat James. 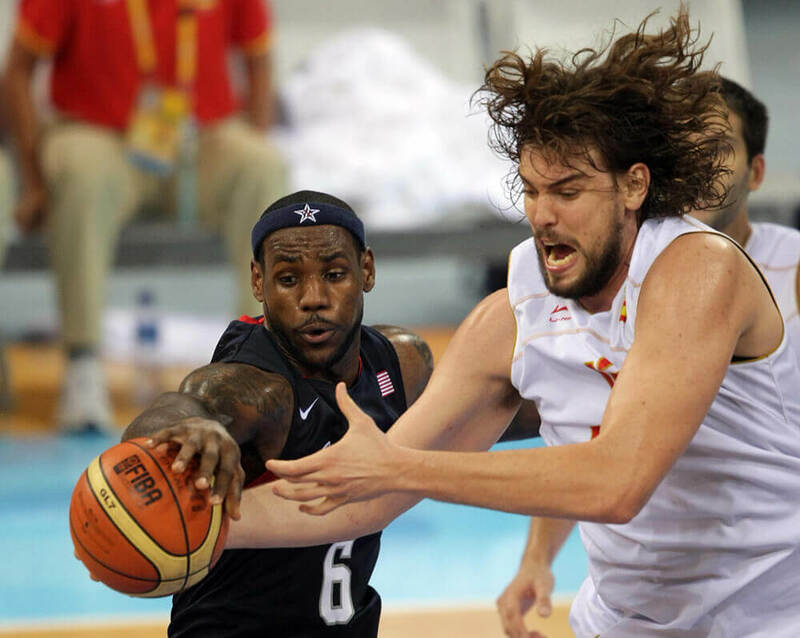 The other half of the Gasol brothers, Marc is a physical threat to anyone. The Spaniard stands at 7’1″ and can use his sheer force to dominate when he chooses to. 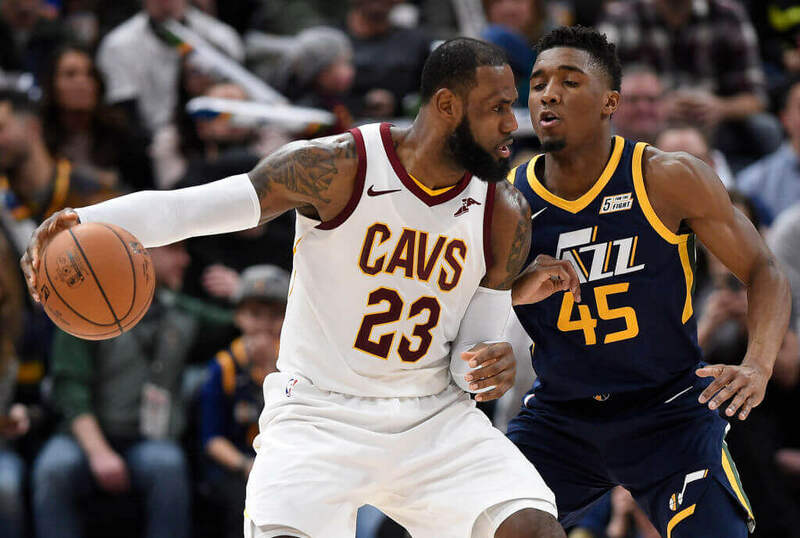 Playing against LeBron James might be a challenge for him because he isn’t as nimble as the other centers we’ve included. Agile or not, he knows how to play and use his size. Once he starts backing James in, there is little that James can do to stop that. And since Gasol is a great rim protector, James would have to shoot jump shots to survive. Victor Oladipo went from regular NBA player to the future of a franchise in one season. He has the same explosiveness as LeBron James, a better jump shot, and he might be a smidge faster than him. 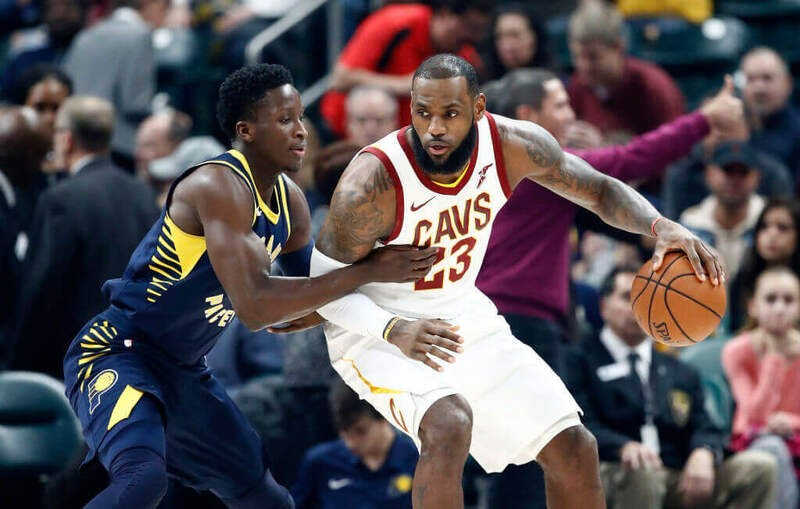 Oladipo and the Pacers almost beat James in the first round of the 2018 playoffs as well. Given a chance to redeem that loss and show that he is the player he thinks he is, Oladipo would surely show James up in a one-on-one game. DeMarcus Cousins is a bully on the court. He’s the last person to be afraid of LeBron James. He’s averaged a double-double his whole career (21.5 points, 11 rebounds) so he has the stats also to prove he’s no pushover. In fact, James might be a little perplexed with how to handle Cousins on the court. 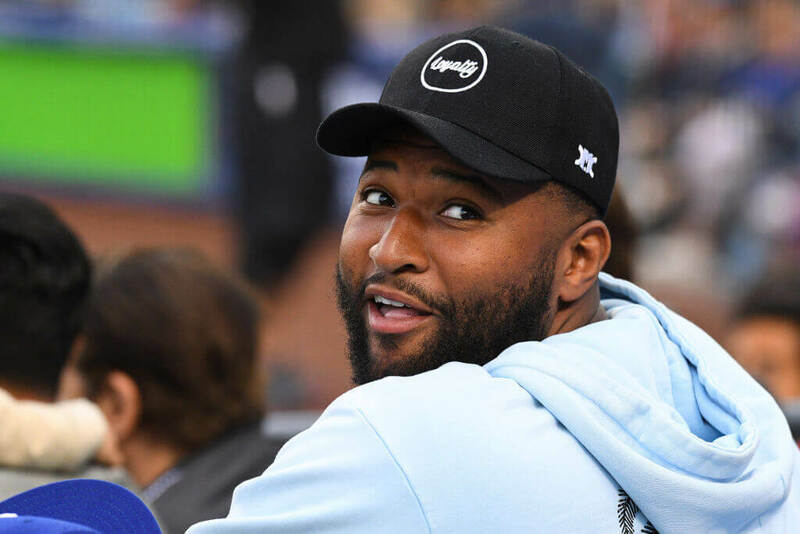 Cousins is like many of the new centers in the NBA in which he can take the ball outside the perimeter and knock down a shot. He doesn’t rely on scoring inside, and that’s what makes him even more deadly.